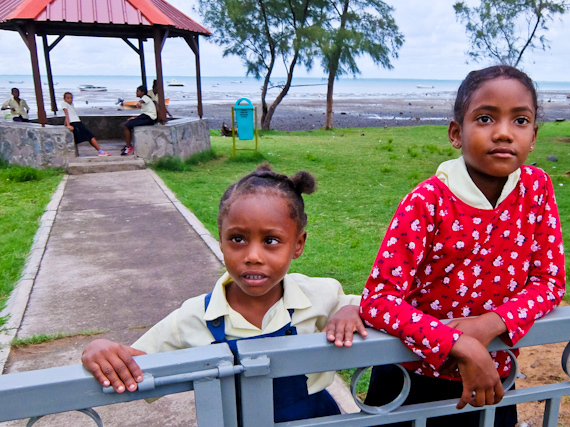 Rupert Parker visits Mauritius’s little sister and finds the best way to get around is on foot. As I circle Rodrigues, it’s clear that it’s tiny – only 11 miles long and 4 miles wide, and completely encircled by its own coral reef. It lies 350 miles east of Mauritius in the Indian Ocean, and I’m taking the 90 minute hop on a small ATR prop plane. On the ground it’s extraordinary green, the centre filled with vegetable patches and fields of sweetcorn. Unlike Mauritius, there’s no sugar cane here, which explains why the people have African, rather than Indian features, most of them descended from slaves brought from Madagascar and Mozambique. 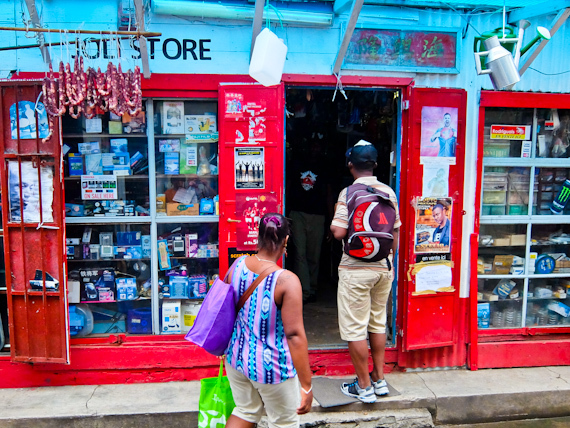 International tourism hasn’t really made an impact on the island and over half the visitors come from Mauritius, attracted by the beaches and the complete lack of development. There are only a handful of upmarket hotels, and most of the accommodation is in small B&B’s with names like La Belle Rodriguaise or Cases à Gardenias. You sit down for dinner with the family and enjoy local Creole specialities. The seafood is excellent and octopus is a main feature on the menu, supplemented by locally grown produce. There is an idea of what’s on offer when I visit the Saturday market in the attractive capital Port Mathurin. 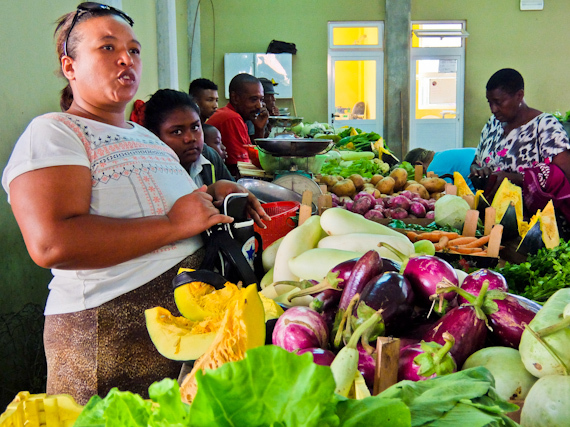 Rows of stalls are selling the freshest of fruit and veg, together with small jars of the local spicy pickle. There’s a choice of mango, tamarind, star fruit and aubergine but I buy the piquant pounded chilli paste which turns up on restaurant tables everywhere. There are also stacks of dried fish and octopus and you find fresh variety, just walk a few paces at the harbour, where fishermen sell their catch of the day. 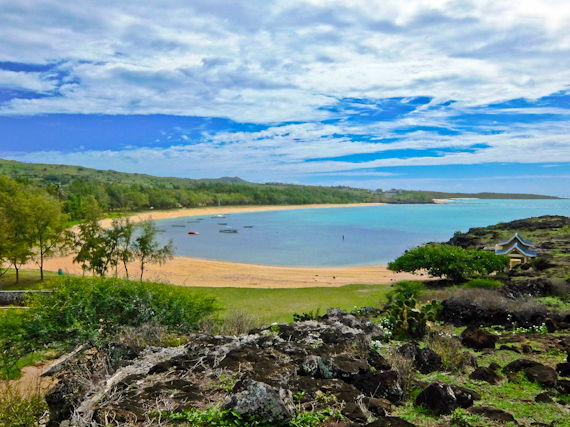 Later, in 1809, the British invaded the island and ruled it from Mauritius, but the residents now have their own regional assembly, giving them some degree of autonomy. 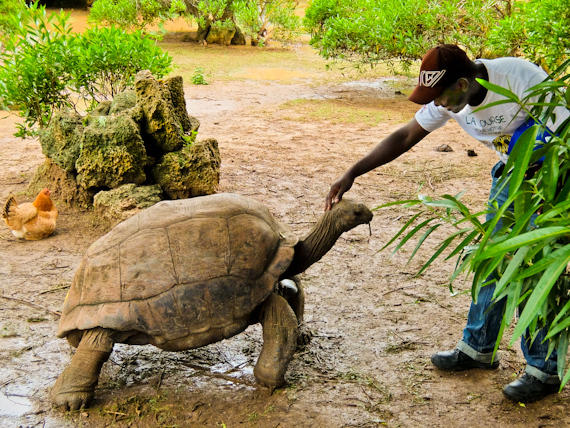 The park was founded in 2007 and includes an interesting museum plus a collection of around 2000 tortoises split between the giant Aldabra variety and the smaller radiated tortoise. They’re certainly friendly, partial to having their necks tickled, and they roam the park’s 20 hectares in a landscape which has been repopulated by scarce native plants. 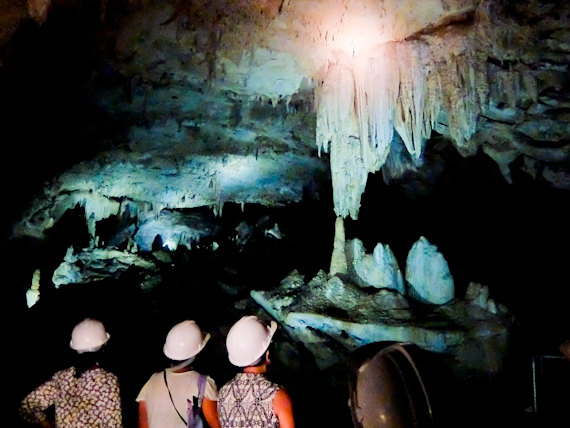 Under the surface is a network of eleven caves, and the 500m long Grande Caverne is open to visitors. A guide takes you along wooden walkways pointing out illuminated stalactites and stalagmites, formed over thousands of years. More fun is the Caverne Patate nearby, running to over 1km, the longest on the island. There’s no electricity here and a guide takes you by torchlight on a subterranean slippery pathway, entering at one end and emerging at the other, blinking in the bright sunlight. 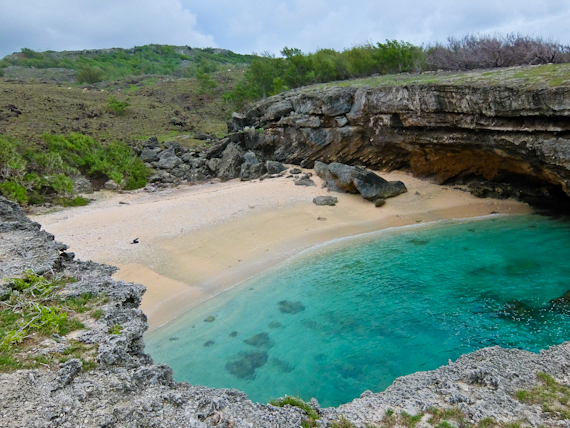 After all this darkness, I feel like a swim so head to the east of the island where the most delightful beaches lie in sunken coves, accessible only on foot. I start out at St Francois, with the broad sweep of Baie de l’Est facing me and walk along the coast for half an hour to the tiny Trou d’Argent. Buried pirate treasure is reputed to lie under the sand, but I have the beach to myself. 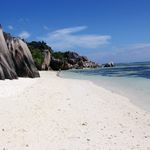 I continue my hike, passing more sparkling sand at Grand Anse and Anse Bouteille before reaching Graviers, composed of a couple of houses. In other parts of the Indian Ocean, posh hotels would have colonised the shores, but so far Rodrigues has managed to stave off the developers. Over the next couple of days I explore the rest of the island on a network of well-marked trails. The only people I meet on the paths are shepherds tending flocks of goats or fishermen maintaining their boats. Occasionally I lose my way and get entangled in the thorns of the acacia trees, but the sea is always near to give me a sense of direction. In the South East, I stumble across a tribe of kite surfers, taking advantage of the strong onshore winds and shallow lagoon. 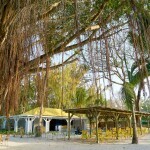 At the moment, they seem to be the only international tourists on the island, but it can’t remain undiscovered for long. 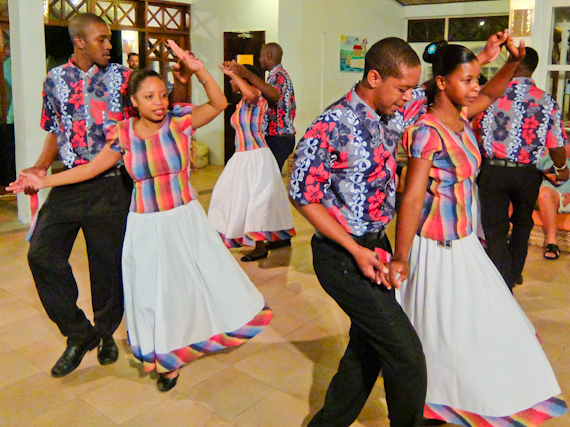 Some people say that Rodrigues is like Mauritius twenty five years ago so my advice is to get there soon. 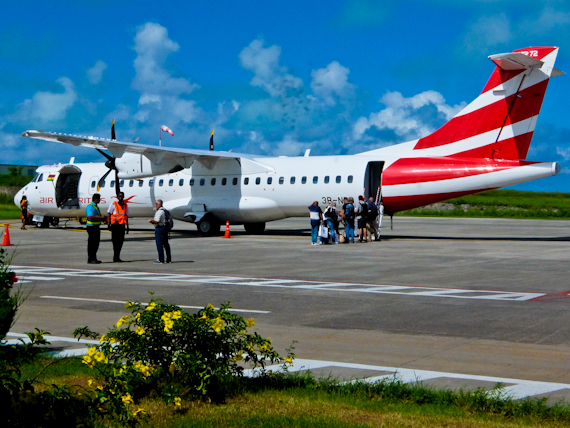 Air Mauritius flies daily from London to Rodrigues via Mauritius. La Giraudiere is an eco B&B, overlooking Port Mathurin and serves excellent food. 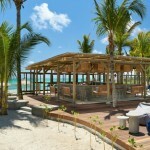 The Mourouk Ebony Hotel in the South East of the island has stunning sea views. The Cotton Bay Hotel sits on its own sandy beach and makes a good base for exploring the coves nearby. 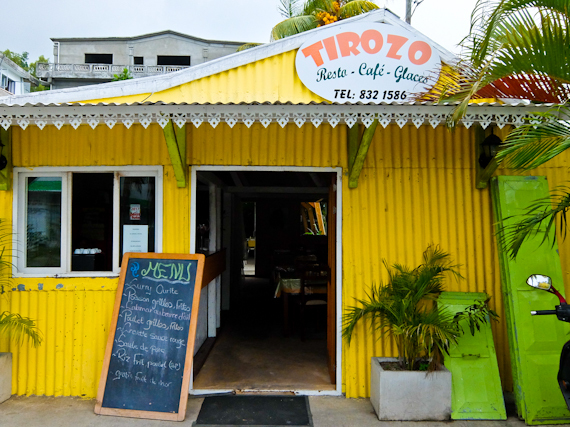 Tirozo is good place for a bite in Port Mathurin. Rue Pere Gandy & Victoria. Rodrigues Tourism has information about the island.